You've looked everywhere: the couch cushions, the car seats, your work bag, your gym bag. 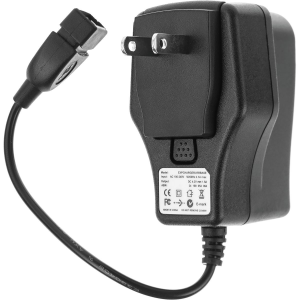 Your Exposure Lights Smart Charger is nowhere to be found. Rather than berate yourself for losing it, think of your headlight. It's still going to need a battery boost one of these days, so replace your runaway part with another Smart Charger. Compatible with Exposure Lights devices with Smart Port technology, this small device delivers a rapid reboot to your light for the first 90% of its charge, then tapers off for the final 10%. To keep you informed, it comes with red and green LED lights that let you know when you're fully charged and ready to go. On your light, you'll see a green flashing signal to let you know your device is currently charging when it's plugged in.